Screening, diagnosing, and progress monitoring are essential to making sure that all students become fluent readers — and the words-correct per-minute (WCPM) procedure can work for all three. Here's how teachers can use it to make well-informed and timely decisions about the instructional needs of their students. Screening, diagnosing, and progress monitoring are essential to making sure that all students become fluent readers — and the words-correct per-minute (WCPM) procedure can work for all three. The only aspect of the procedure that has to change is the difficulty level of the text. For screening, passages are selected from text at the student's grade level. For diagnosing, passages are selected at the student's instructional level (which may be lower than her grade level). In this context, instructional level text is challenging but manageable, with the reader making errors on no more than one in 10 words (i.e., the reader is successful with 90 percent of the text) (Partnership for Reading, 2001). For progress monitoring, passages are selected at a student's individually determined goal level. For example, if an 8th-grade student's instructional level is at the 5th-grade level, the teacher may conduct the progress monitoring assessments using passages at the 6th-grade level. Because empirical research clearly indicates the urgent need to provide high quality, intensive instructional interventions to students at risk of reading difficulty as soon as possible (Snow, Burns, and Griffin, 1998), schools should administer screening measures to every student through the 5th grade. First-graders should be screened in the winter and the spring; second- through fifth-graders should be screened in the fall, winter, and spring. 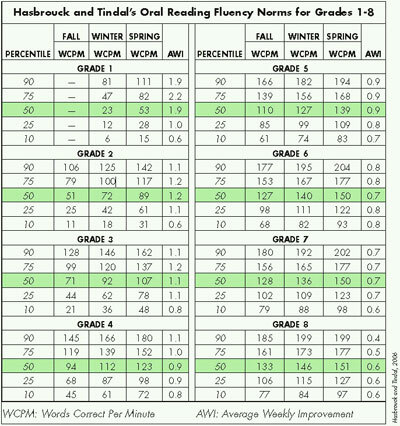 To determine if students are at the expected levels in their reading fluency, my colleague Gerald Tindal and I (2006) suggest comparing students' WCPM scores to the 50th percentile score on the norms table (below), given the students' grade placement and the approximate time of year in which the assessment was conducted. A score falling more than 10 words below the 50th percentile should raise a concern; the student may need additional assistance, and further assessments may be needed to diagnose the source of the below-average performance. Depending on the age of the student and any concerns about reading performance noted by the teacher or parents, such additional testing might include assessments of oral language development, phonemic awareness, phonics and decoding, and/or comprehension. 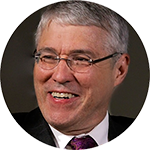 If a student scores poorly on a fluency screening, or if the teacher has some other cause for concern such as poor performance in class or on another assessment, the teacher should take a more careful look at the student's strengths and needs. The student could be deficient in a variety of reading skills or in related areas like vocabulary and background knowledge, so administering some informal diagnostic assessments would be helpful for designing effective instruction, providing evidence of the need for a reading specialist, or referring the student for further evaluation. If a student's diagnostic assessment reveals concerns about one or more areas of reading, additional, targeted instruction should begin right away. WCPM procedures can be used to monitor the student's progress. Many educators have found WCPM to be a better tool for monitoring students' progress than traditional standardized measures that typically are time-consuming, expensive, only administered infrequently, and of limited instructional utility (Good, Simmons, and Kame'enui, 2001; Tindal and Marston, 1990). For students reading six to 12 months below grade level, progress monitoring should be done frequently, perhaps once or twice monthly for as long as students require supplemental instruction. Progress monitoring should be done as often as once per week for students who are reading more than one year below level and receiving intensive intervention services, including special education. This regular monitoring assures that if the intervention is not working well, it can be modified. When monitoring the progress of these struggling readers, the standard procedures are expanded by graphing the student's WCPM scores. A progress monitoring graph, for perhaps a grading period or a trimester, is created for each student. Teachers can use the average weekly improvement (AWI) data in the norms table to select an ambitious, yet reasonable, instructional goal; for example, a fourth-grader's goal could be to improve by 15 WCPM over 10 weeks of intensive instruction. An aim line is placed on the graph to represent the progress a student must make to achieve a preset fluency goal. Each time the student is assessed, that score is added to the graph. If three or more consecutive scores fall below the aim line, the teacher must consider adjusting the instructional program (Hasbrouck et al., 1999). Teachers should also consider having the students record their own WCPM scores on their graphs — it increases their motivation and investment in their reading progress (Shinn, 1998). These procedures for screening, diagnosing, and progress monitoring have been available for many years, but have not been widely used in schools (Hasbrouck, et al., 1999). This situation will likely change as educators become more aware of the importance of preventing reading difficulties and providing intensive intervention as soon as a concern is noted. 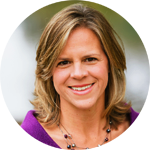 Using fluency norms to set appropriate goals for student improvement and to measure progress toward those goals can be a powerful and efficient tool to help educators make well-informed and timely decisions about the instructional needs of their students, particularly the lowest performing, struggling readers. Andrew (a pseudonym), is an eighth-grader who recently moved to a different town where he entered a new school in March. It soon became evident to his teachers that Andrew was having difficulty with his academic work. At a weekly meeting during which teachers discuss any concerns about their students, several teachers brought samples of Andrew's work to share. The teachers agreed that the school's reading specialist should determine if reading problems were contributing to Andrew's struggle with his assignments in several classes. The reading specialist conducted an IRI (informal reading inventory) and planned to follow up with additional assessments if Andrew's performance on the IRI indicated possible deficits in phonemic awareness, phonics and decoding, vocabulary, and/or comprehension. The specialist built a fluency assessment into the initial IRI by using a stopwatch to determine how many words Andrew could read in the first 60 seconds of each IRI passage. The reading specialist began the IRI using a sixth-grade passage, two years below Andrew's grade. The passage was at a frustration level for him: He had difficulty with decoding, phrasing, and expression, and was only able to correctly answer four of the eight comprehension questions. Because the passage was at Andrew's frustration level, the WCPM score was not calculated. The specialist then repeated the assessment using a fifth-grade passage; Andrew was able to read it with 94 percent accuracy and correctly answer six of the eight comprehension questions. The specialist calculated Andrew's WCPM score for this passage and compared his score, 131 WCPM, to the norms for fifth-graders in the spring (Hasbrouck and Tindal, 2006). 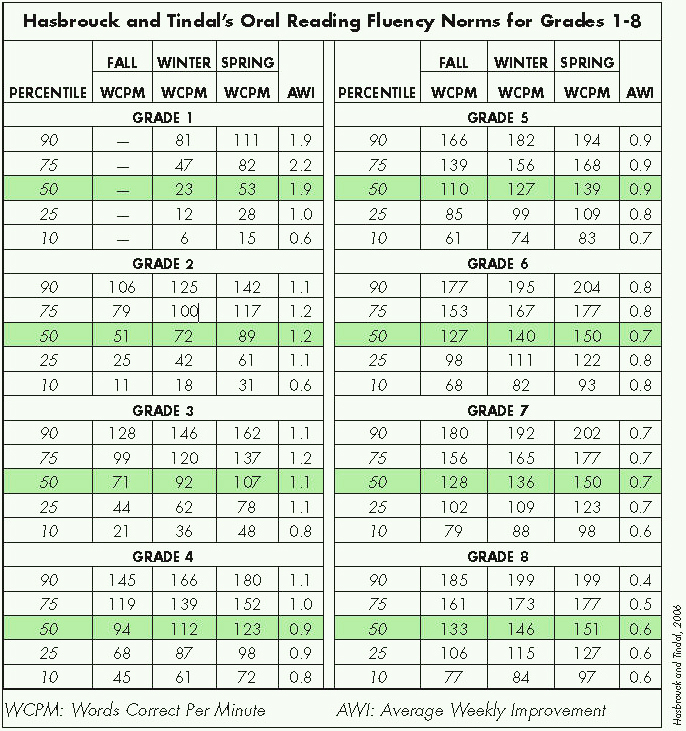 The 50th percentile in the spring of fifth grade is 139 WCPM. Because Andrew's score fell less than 10 words below it, his fluency is within the expected range for fifthgrade readers in the spring. The reading specialist's conclusion was that Andrew appears to be reading approximately three years below grade level, but that his fluency skill level appears to be appropriate for his overall reading level. Before designing Andrew's reading program, the specialist plans to administer a diagnosticassessment focused on phonics and decoding, and a more comprehensive assessment of vocabulary and comprehension. She suspects there may be some underlying weaknesses in Andrew's decoding skills contributing to his delay in overall reading development. His intervention will likely include fluency instruction and practice to keep him on track, and may also include decoding and comprehension instruction, depending on the results of the other diagnostic assessments. Good, III, R.H., Simmons, D.C., and Kame'enui, E.J. (2001). The importance and decision-making utility of a continuum of fluency-based indicators of foundational reading skills for third-grade high-stakes outcomes. Scientific Studies of Reading 5(3), 257-288. Hasbrouck, J. and Tindal, G.A. (2006, April). ORF norms: A valuable assessment tool for reading teachers. The Reading Teacher, 59(7), 636-644. Hasbrouck, J.E., Ihnot, C., and Rogers, G.H. (1999). 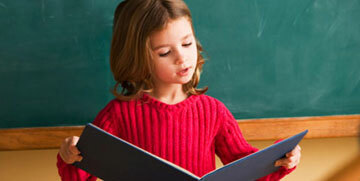 "Read Naturally": A strategy to increase oral reading fluency. Reading Research & Instruction, 39(1), 27-38.Partnership for Reading (September 2001). Put reading first: The research building blocks for teaching children to read. Washington, D.C.: National Institute for Literacy; National Institute of Child Health and Human Development; and U.S. Department of Education. Snow, C.E., Burns, M.S., and Griffin, P. (Eds.) (1998). Preventing reading difficulties in young children. Washington, D.C.: National Academy Press. Tindal, G. and Marston, D. (1990). Classroom-based Assessment: Testing for Teachers. Columbus, Ohio: Merrill Publishing Company. * The increased use of this terminology has created some confusion due to a lack of widely accepted, clear definitions. Screenings are sometimes referred to as benchmark assessments, and their repeated use in the winter and spring is sometimes referred to as progress monitoring. In this article, the term screening is used for universal assessments done two to three times per year and progress monitoring is reserved for frequent formative assessments for students receiving an intervention. This article justifies how we are assessing fluency for our corporation! Thank you!! I loved the article. It will be so useful in the classroom. This article gives me ideas for testing my students' reading ability.